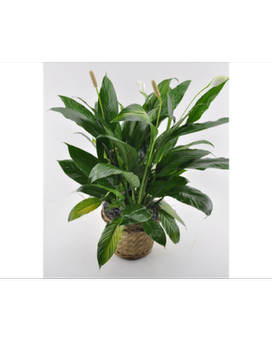 A peace lily or Spathiphyllum Plant is the perfect gift its not only beautiful but very low maintenance. 6 inch planter. Actual container may vary.